【Pull Back and Go Car Set】Just simply pull back car then release and watch the mini car accelerate across the floor. 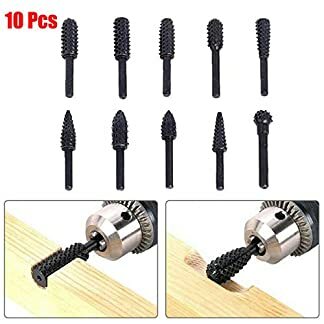 it move quickly, suitable for playing indoors and outdoors. 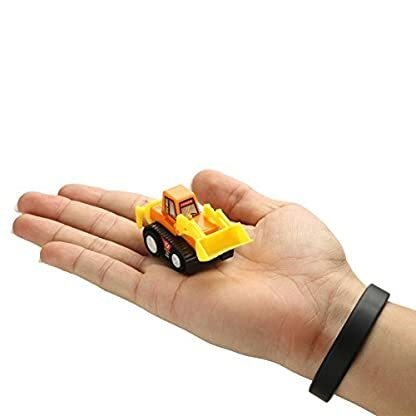 Kids boys love to this kind of pull back mini car for hours fun. 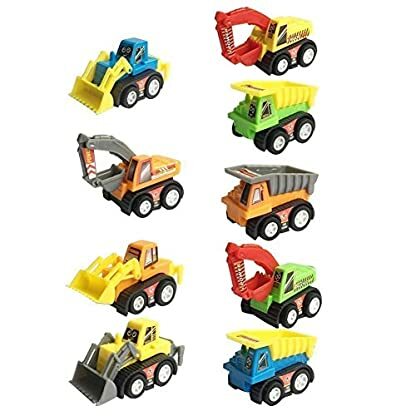 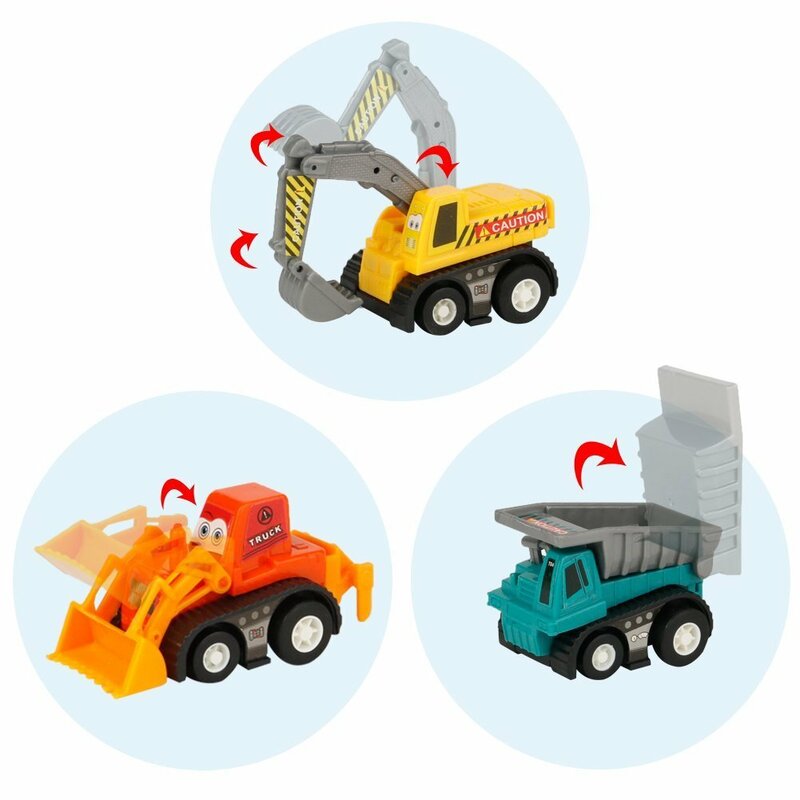 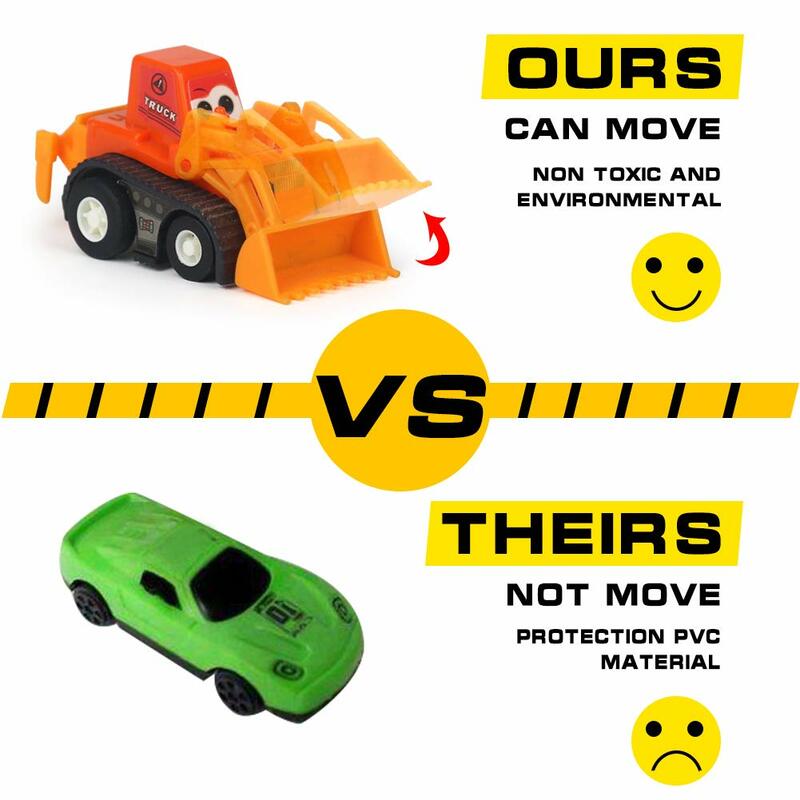 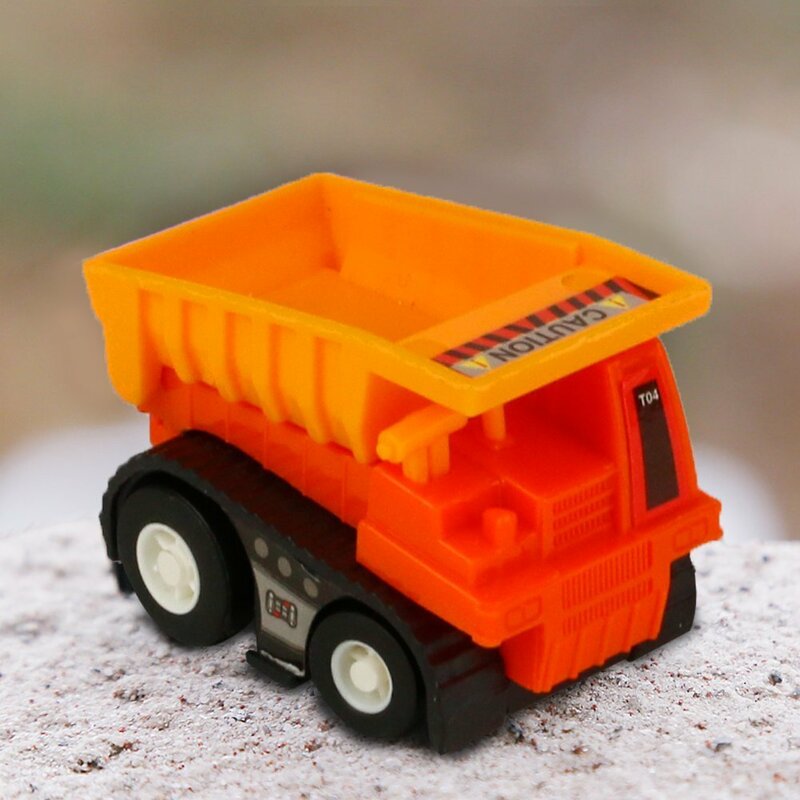 【Construction Vehicles Package Content】The Engineering toy car kit will come with 9 toy cars in total, 3 different construction vehicles including 3 x Bulldozers, 3 x dumpers and 3 x excavators, kids will have a clear understanding to the actual operation of the construction process. 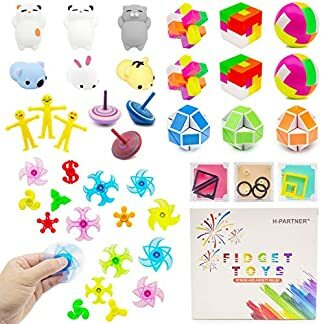 【Super Educational Tools】A great early preschool educational toys for kids develops motor skills, stimulates kid’s imagination and encourage hand-eye coordination. 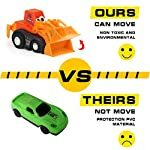 An amazing funny time to playing a different role to drive different car toy with friends or partner for kids, the effective way to develop their social and communication skills. 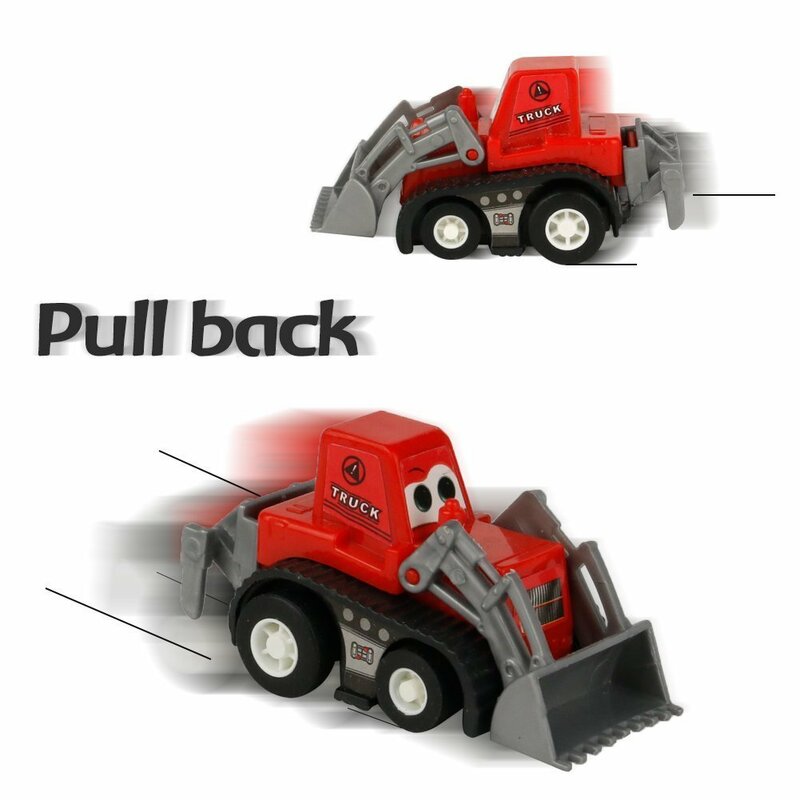 *It is a funny experience for kids to play with different trucks. * It is good for kids to learn more knowledge about traffic. 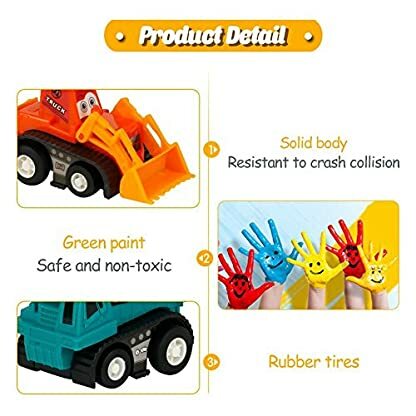 *Perfect to as gift for kids. 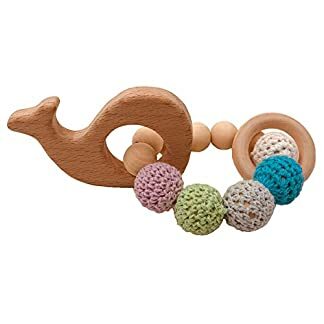 *Also ideal for party favor, giving smart and creative little gifts that will make the party more fun! 【Adorable Appearance and Realistic Design】Each construction toy car is with a small but exquisite expression sticker and these pull back cars are realistic with joints in a smaller scale, they can work as the real construction cars, from swing, rear dumping, or a tilt action side dump feature, attracts the kid’s attention and they will know how a real construction car work by playing these toy cars. 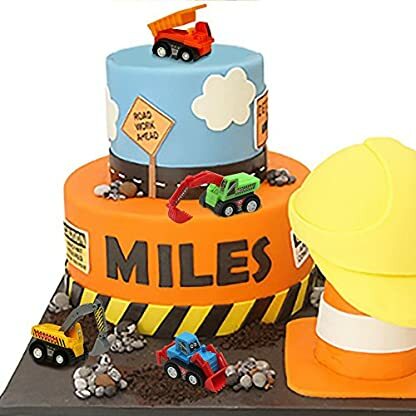 【Party Supplies Set】Perfect birthday gifts Halloween Christmas presents, Birthday cake decorating kit, stocking stuffers, Party favors. Bright and colorful mini size cars, best choice of all kinds of holiday party favors, also can use to decorate cake.